For any business, staying vital and forward-moving generally requires seeking out entirely new markets or expanding services to existing customers. Some companies opt for one strategy over another; others decide to take both routes. Office Pride Commercial Cleaning Services, Inc., falls into this latter camp. Headquartered in Palm Harbor, Florida, the company specializes in providing routine janitorial services to the small- and medium-sized commercial building market in a variety of industries, including office buildings, schools, medical spaces, airports and (most recently) restaurants, says Olon Hyde, director of operations. Now in its 25th year, the company has 120 franchise locations throughout the United States. Although their unit growth has been modest, their sales growth has been “excellent,” says Hyde. 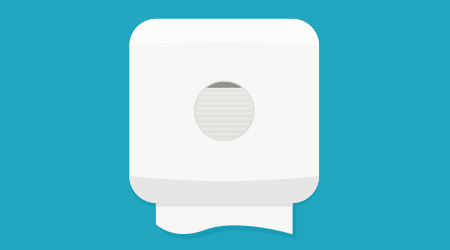 In an effort to continue and build on this momentum, about a year ago, Office Pride launched a new “touchless” cleaning program for restrooms, offering this as either an add-on service above the basic cleaning for existing customers or as a stand-alone program for new customers who may not require routine janitorial services but would be interested in a specific restroom cleaning package. It also serves as an additional enticement for new customers considering Office Pride as their total janitorial services provider. Restaurants are a key target for the touchless program. In fact, attracting these customers was one of the motivations behind the program’s development, says Hyde. 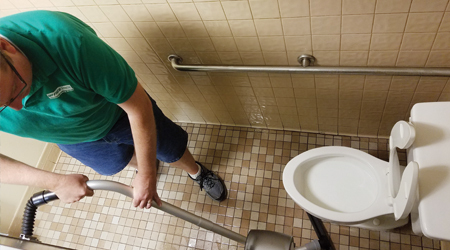 As he explains, in most cases, employees are tasked with cleaning the various areas within the restaurant, including the restrooms, reducing the need for the full range of janitorial services. The company is also setting its sights on locker rooms; Hyde mentions the Tampa Bay Buccaneers, which experienced a staph outbreak several years ago thanks to unsanitary locker room conditions, as illustrative of this need. Other targets include large gym facilities with showers, among other prospects.